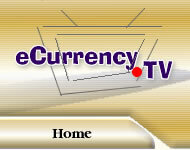 eCurrency.TV is an investing mentorship opportunity under the guidance of LeRoy Diener, a foremost DX In One investing guru. Our experience has shown that beginning students will waste large amounts of money and several hundred hours improperly investing in the DX In One system. We offer added value to the Mazu Ecurrency Exchange program that you will simply not find anywhere else. One-on-one mentoring with LeRoy and the eCurrency.TV staff is of greater value than the Mazu Ecurrency Trading program itself. My mission is to help people like you who are looking for ways to enjoy profits by leveraging limited time and resources. I am able to help people who have limited financial leverage by providing targeted information and insights in order to minimize the inevitable frustrations of a difficult learning process. Like most early adapters, I learned the hard way. Before the first instruction manuals or help functions are written, early adapters try to learn using anything available, including a lot of trial-and-error, a few tech support messages and countless hours in posts in forum threads. The early learning process is so costly, time-consuming and extremely frustrating that few early adapters persevere long enough to realize the fruits of their labors. I was frustrated and confused in the beginning. After a while, I could not justify to my business partners my time investment. My logical analysis told me to invest my time in other projects. It is only by grace that some compelling force drove me to continue until I had surmounted the most difficult part of the learning curve. I guess you could say that I am lucky. Thanks to the skills and hard work by the eCurrency.TV team, you can now benefit from my pioneering efforts in eCurrency investing. These wonderful people work to transmit my knowledge to you in a format that is organized and designed for you to be able to digest, absorb, assimilate and utilize. Now, you have a chance to be lucky, too! I want you to succeed in eCurrency investing. I hope that you will join us and visit this site often to increase your knowledge and profitability. I have a lot of info to share with you. Together, we will prosper. Please check for my updates. There comes to mind a story which I want to relate to you soon. The story is about a misadventure/lesson for me when USD 325 arrived in my bank account. Most people would think that was a good thing. I even received bonuses for that transaction, yet I was still upset. To answer the most common question, the current Mazu product is delivered entirely electronically, including audio files which are intended to be burned to CD. Mazu has revised the one-year membership unofficially to lifetime. Mazu is primarily a firm of marketers. In this case, nevertheless, the product produced by Mazu is the best available, and eCurrency.TV has made it better by providing direct mentorship and ongoing audio communication. DX in One functions in a shifting and uncharted territory, and while stable, you will need to be kept informed daily. We will provide you with audio blog updates as soon as any detailed or pertinent information becomes available. Whereas Mazu provides the best introductory package of which I am aware, my mentoring and consulting takes my clients far beyond what Mazu offers. At the risk of sounding arrogant, I believe that the true value of a relationship with BSA is access to my knowledge and insights. The accessibility will be limited primarily by how readily one can absorb the information. Some of the systems which I teach are extremely complex. All clients profit greatly. Many prefer to stick to the simpler parts, leaving the complexities to others. This works well, as long as they follow some basic guidance. Now that I have synthesized insightful information, I only wish that more people could benefit from what I have learned. I am determined to try.